Like many of you, I love the comfy repose and gentle sway of a good hammock. I also think they pair well with a warm beach and a cold cocktail. As much time as I’ve spent relaxing in a hammock, I don’t often think of them as the go-to for backcountry bedding. That’s not to say many outdoor enthusiasts think as I do. In the last few years the hammock has become a popular alternative to the traditional ground tent. This begs the question—which is better? The primary advantage of a hammock is the ability to camp virtually anywhere provided there are at least two properly spaced trees. As a tent camper, I concede I have spent countless hours pecking around for a suitable place for my tent. On the other hand, the hammock user is never stymied by rocks, roots, or muddy soil. On a recent backpacking trip around the extinct volcanoes of northern Arizona, I elected to use a hammock for that very reason. Although heavily wooded, the chunky ground is strewn with lumps of lava rock and the entire landscape is slanted at a 45-degree slope. There’s not much level ground, so a hammock was the ideal solution. There are also times when it’s best to not sleep amongst the creepy-crawlies. I spent a few months camping on a tropical island, and every night the ground literally moved in a mass of bugs. Although a hammock doesn’t entirely isolate its occupant from critters, when paired to a well-designed bug net, it does a good job of it. As a desert dweller, I’ve spent many a night tucked into a tent hoping for just the slightest breeze. Sleeping just a couple of feet off the ground in a hammock is a great way to get a full-body cool down as fresh air circulates the sleeper. We’ll get back to that in a minute when it becomes a major disadvantage. 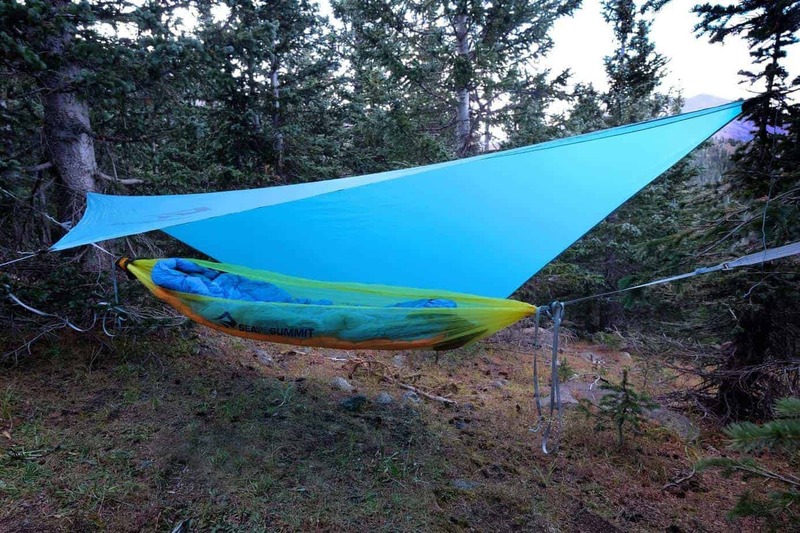 Most backcountry hammock users include a dedicated tarp with their system to provide sufficient weather protection. One advantage to the tarp, aside from its simplicity, is the large area of coverage. In a mild rain, I can move around beneath a tarp and not feel cramped or confined. A tarp also doesn’t obstruct airflow the way tent walls do, once again bolstering the warm weather performance of a hammock. There are places in the world, deserts in particular, where trees are few and very far between. In those environments, the tent is typically a better choice. I also find the tent a better option when ugly weather is in the forecast. When the wind starts howling, and rain falls at a 45-degree angle, the sanctuary provided by a tent is tough to beat. Most modern tents not only include waterproof floors with a bathtub construction, they also have a full coverage rainfly, vestibule, and other attributes designed to make sitting out a storm as comfortable as possible. 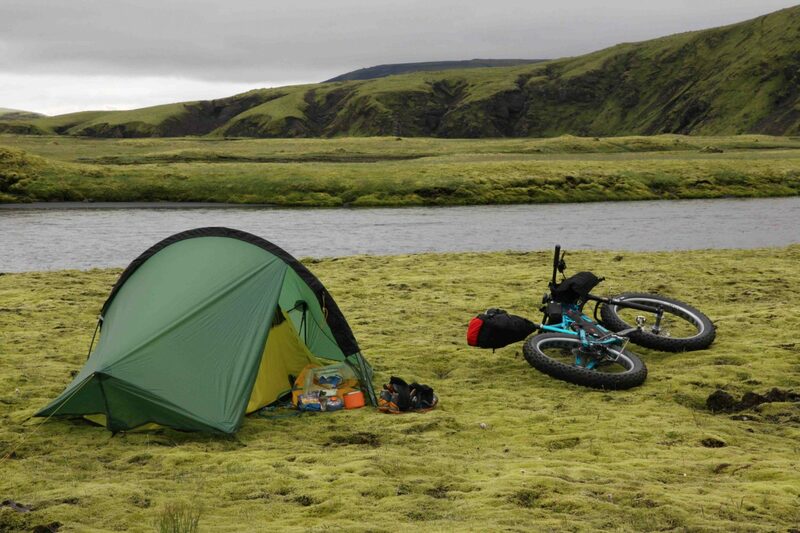 A tent was a clear choice for the near tree-less island of Iceland. One of the less obvious advantages of a tent is the ability to have all of my little widgets within easy reach. 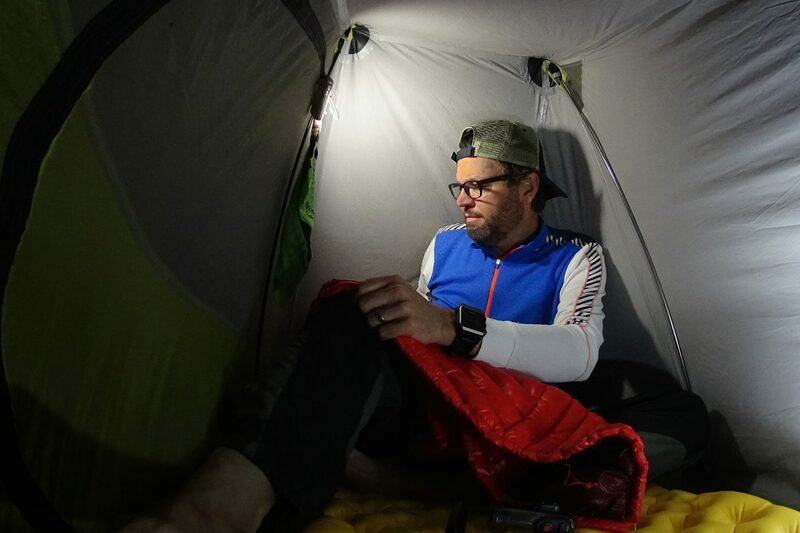 When I’m tucked into a tent, I usually have my headlamp, warm hat, water bottle, and other small items close by. If not tucked into a tent pocket, they’re often laying next to me. Although some hammock systems include additional gear slings and organizers, keeping small items readily accessible is not nearly as easy. 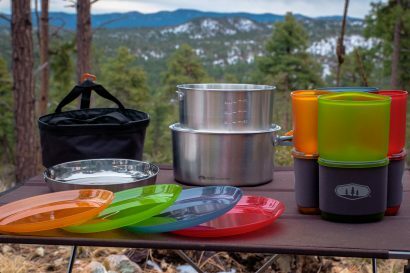 Perhaps the most significant advantages to the tent are the ergonomic ones. When sleeping in a tent I can easily sit up, lay down, and shuffle around to change clothes or just stretch my tired limbs. I can easily roll from one side to the other and lay flat as I do in my bed at home. In a hammock, I’m always bent like a banana; and yes, I do know the trick of laying diagonally across a hammock to stay as flat as possible. As mentioned above, my biggest gripe with the hammock is the inability to sleep as I do at home. Not many hammocks afford the ability to comfortably sleep on my side, move from one position to the next easily, and I don’t particularly like the constant sway every time I shift from side to side. I’ve never considered myself particularly claustrophobic and have spent hundreds of nights in bivvy sacks, but the constant squeeze of a hammock also gets to me. I can’t wait to hop out of a hammock as soon as the sun pops over the horizon. A great place for a midday nap, I find the hammock to be a tough place to spend a night. When camping in cold weather, the hammock user has to defend against the hammock itself lest they freeze solid. 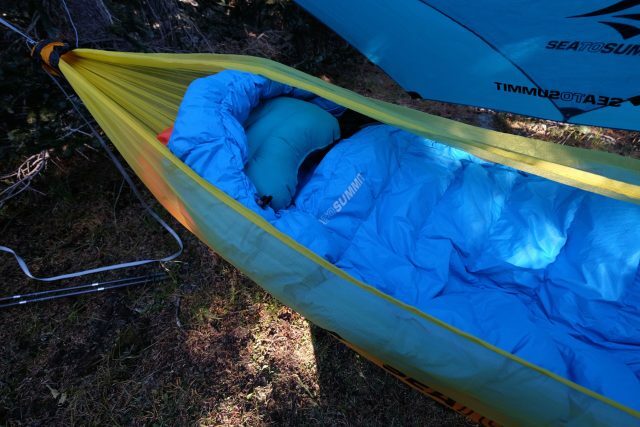 The fabric of a hammock conspires to compress sleeping bag insulation, creating cold spots which render even a great sleeping bag virtually useless. 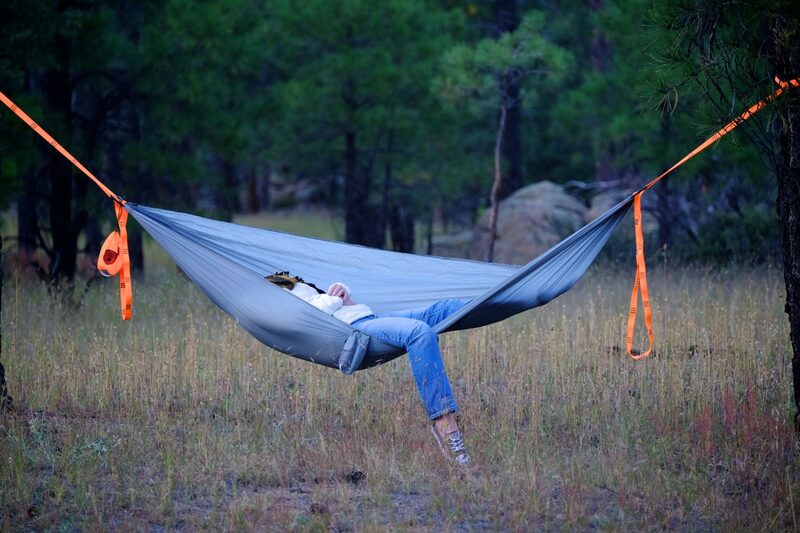 The use of a sleeping pad within the hammock helps reduce that compression, but keeping a bag, pad, and hammock aligned creates its own challenges, particularly if you’re prone to shift much as you sleep. In a tent on a cold night, the fully enclosed walls help retain heat and most importantly, defend against cold breezes. Just last weekend, while camped at an elevation of nearly 11,000 feet, the temperature dropped to just above 20ºF. A cold wind rolled down the mountain all night long, fully enveloping me in my hammock. I stayed warm thanks to a good bag, excellent pad, and a well placed hot water bottle, but there was a constant swirl of cold air around me on the attack. As mentioned above, the only significant downside to tent camping is finding flat, dry, and level real estate. That truly can be a challenge. I will also accept that many people simply do not like sleeping directly on the ground, although I’m of the opinion the modern sleeping pad can mitigate many of the discomforts of ground sleeping. 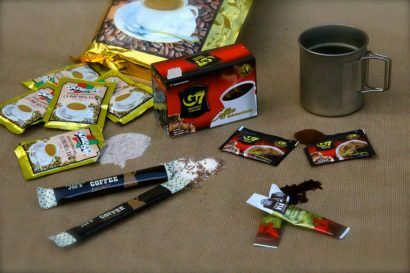 If camping in hot weather, a tent can be a little stuffy, but good tent selection can usually reduce the discomfort of a warm night. Other than those two peccadilloes, there’s not much to complain about. There was a time when hammock advocates claimed their systems were lighter and more compact than tents, but by the time you add up the weight of the hammock, tarp, straps, stakes and other essentials like bug nets, they often weigh more than many new solo tents. They also suggested a hammock and tarp was easier to set up, but I don’t buy that for a minute. By the time I sling a hammock and stretch out a tarp I can have a small tent pitched and with less fussing. I like the cozy confines of a tent. Even a tiny shelter feels more like a habitat than a sling of fabric and a tarp overhead.